Very Good. 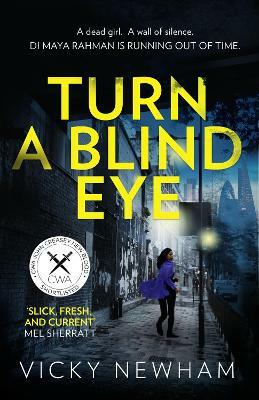 Turn a Blind Eye: A gripping and tense crime thriller with a brand new detective for 2019 (DI Maya Rahman, Book 1) by Newham, Vicky. Glued binding. Trade paperback (UK). 368 p. DI Maya Rahman , 1. Very Good. `The first in a promising series...a female detective who has to negotiate cultural conflicts on a daily basis. ' The Sunday Times 'Remarkable'Paul Finch; `Impressive'Daily Mail; `Fresh and enthralling'Roz Watkins. Glued binding. B-format paperback. 416 p. DI Maya Rahman , 1.